My all-time favorite pattern has to be stripes… I have to constantly remind myself to limit the amount of items with stripes in my closet. 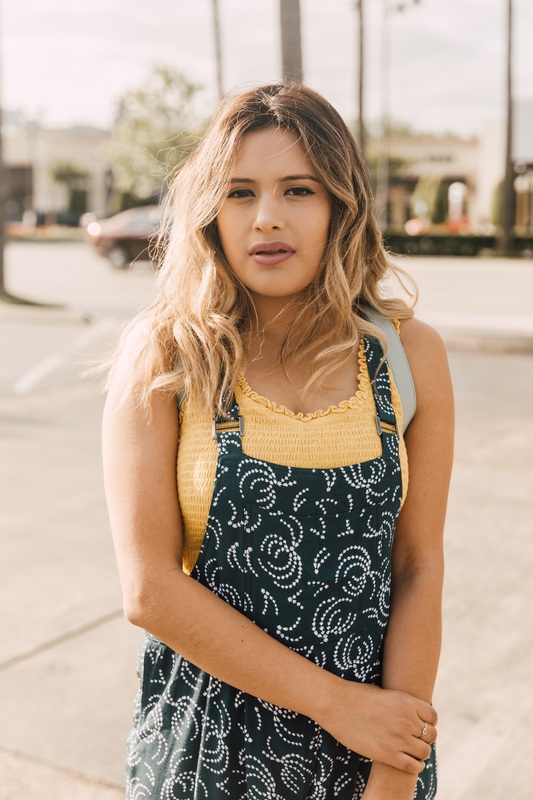 But, knowing me and my love for patterns, I believe a stroll in Houston, Texas requires a little more pattern than just stripes. Welcome to Stripes in Texas. This site may contain affiliated links. I’m loving your outfit, especially the striped dress. I love stripes, too! Stripes is so addicting! Thank you so much! I love your styling. You definitely have a great eye for design and combinations. Hey Wendy! I was going through the link up at the painted teacup.. looking at the different links to read . I was scrolling through and I said… I know her! 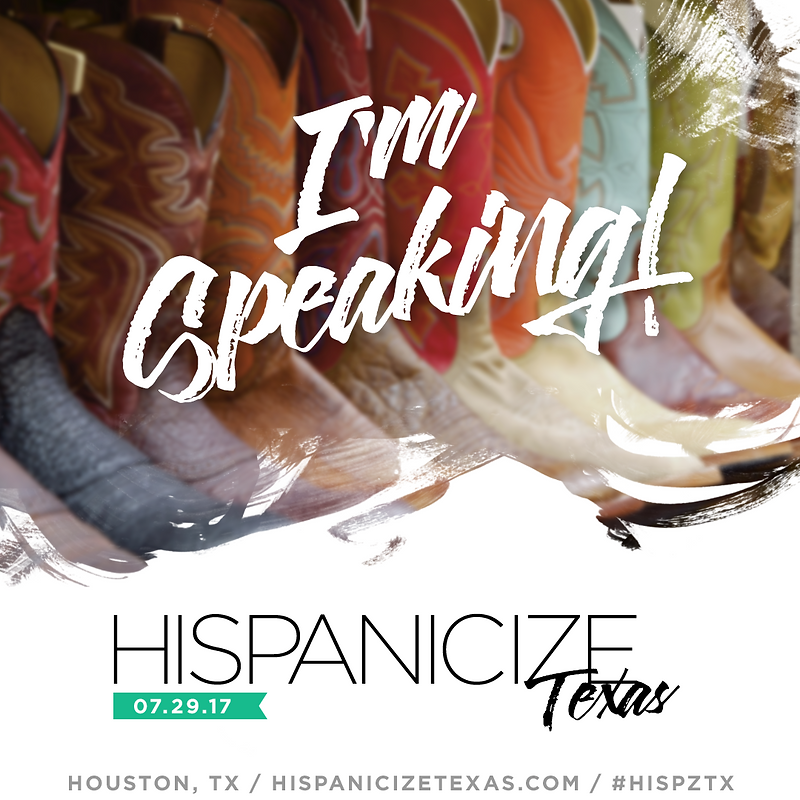 It’s the Latina fashion blogger I met at the conference last weekend:) I just wanted to say hello. My prayer for you is that you will have continued success. I know you will because you are talented and definitely can put an outfit together. I like the look here. I need to show my sisters and nieces your site. God bless! Thank you! It was a pleasure meeting you. Blessings. Gorgeous! Love the combo of stripes + pattern, and the contrasting textures too! Pinning it. Thank you! I’ll check out your site as well! Thank you! I’ve been wanting one too, so when I got this kimono I knew I had to get it. I love the stripes and how you mixed prints! 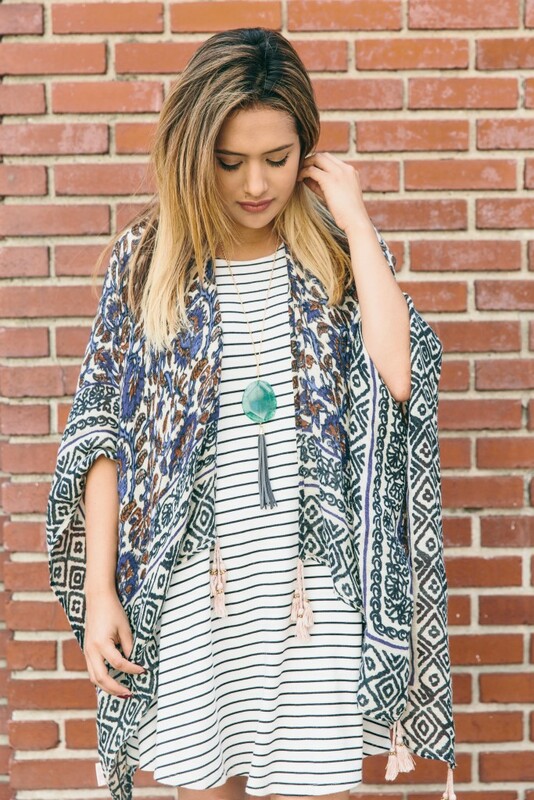 Love the stripes and Kimono together! Very cute! 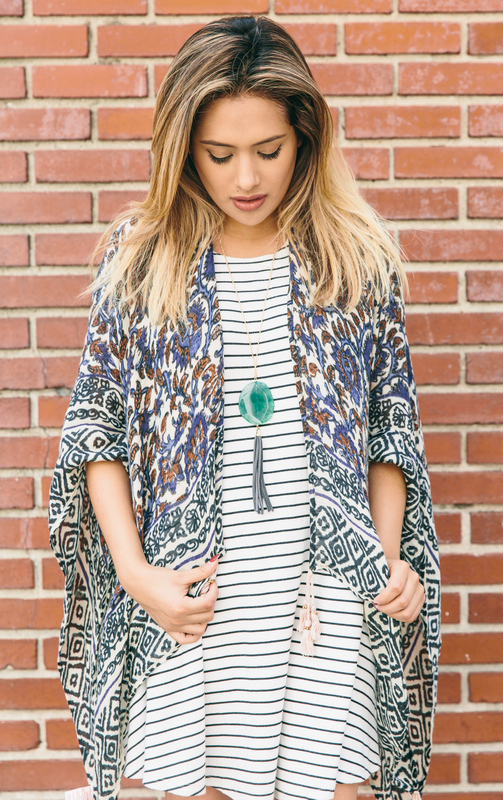 I am always a fan of stripes and a kimono! Perfect for any season :). You are so cute! Love the pattern combo. The Stars and Stripes are big and bright deep in the heart of Texas! Lol! 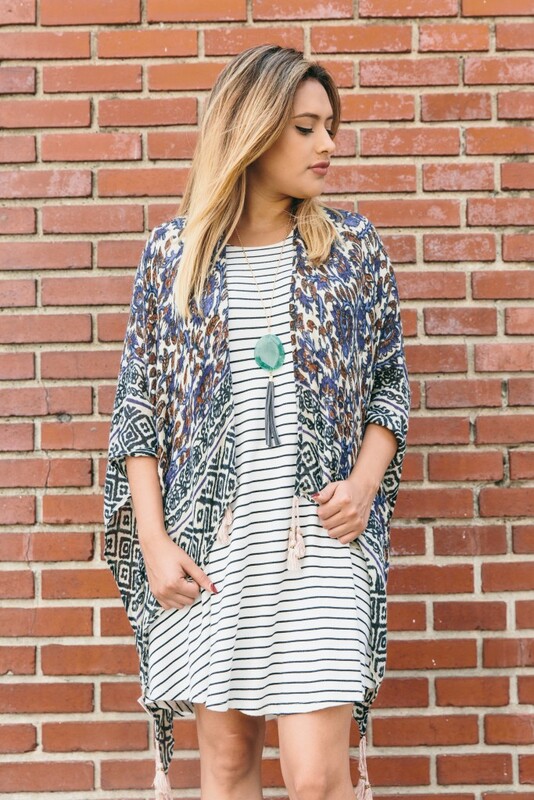 I love the striped dress with the floral kimono. This is a very comfy casual chic look! Wow, love this outfit. I love everything loose like this – so I’m obsessed. The kimono is gorgeous! YES to stripes (I’m a stripes girl, too!) and Major Yes to this super chic look! 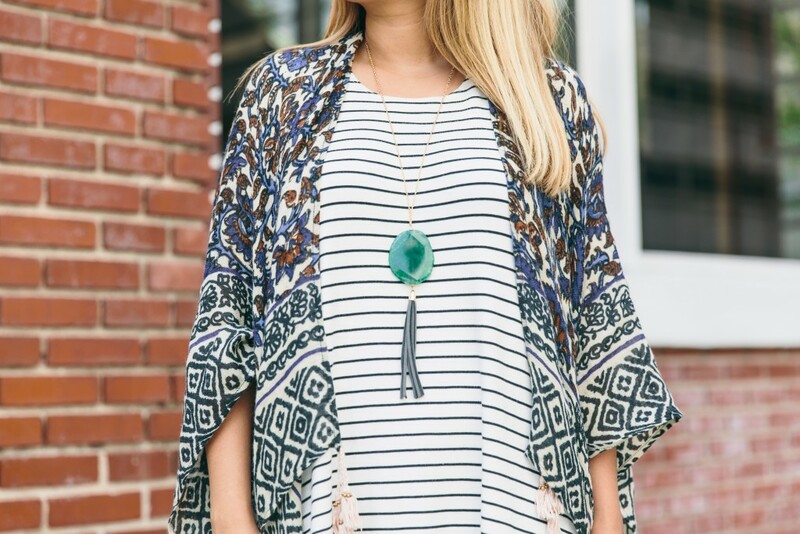 That boho paisley shawl/wrap is beyond!